Please Join us for our Christmas Celebration! The General Assembly of the Armenian American Medical Society will meet on Wednesday, January 17, 2018 @ 7:00 PM at the Adventist Health Glendale Medical Center’s Auditorium at 1509 Wilson Terrace, Glendale, CA (Main Entrance, East Tower Lobby). There will be a partial election of the Executive Committee. Please note that members who have joined AAMS prior January 2017 are eligible to be nominated for office. Members who are not current on their membership dues are not eligible to vote. If there is no quorum at 7:30 PM, those present will constitute a quorum. RSVP by January 15, 2018: email info@aamsc.com tel (818) 980-7777. A Winter Soiree to end the year in style! 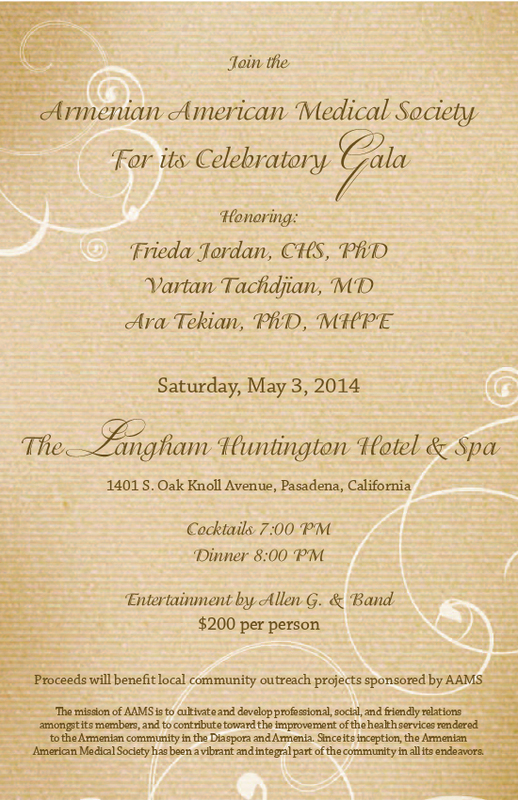 Join us for a champagne toast and networking following AAMS’ 13th annual CME & CDE conference. The Armenian American Medical Society has organized a full day of educational and networking opportunities to take place at the beautiful Caesars Palace in Las Vegas. 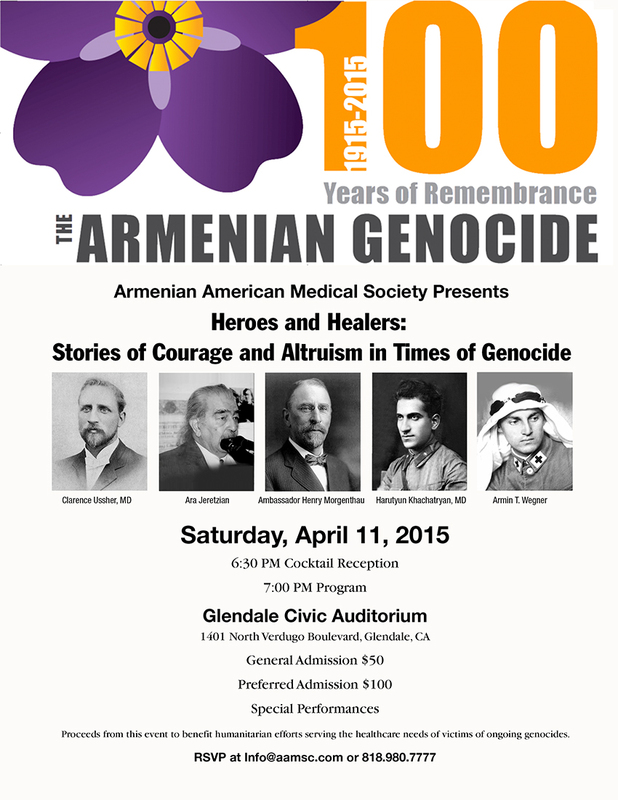 The Armenian American Medical Society has organized a full day of educational and networking opportunities. Join AAMS’ Spring Symposium and get current updates on Women’s Health. The 6th Annual Glendale Health Festival is around the corner and we need your help!!! Join the Armenian American Medical Society celebrating the 12th Annual Las Vegas Getaway from September 11-13, 2015. 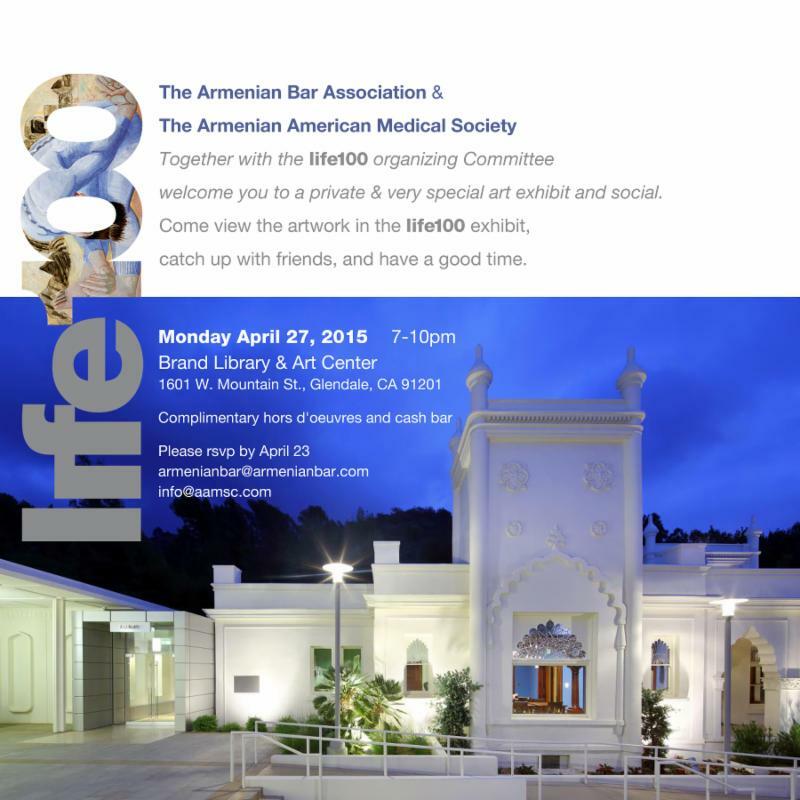 The Armenian American Medical Society has organized a full day of educational and networking opportunities for you. We have some exceptional talks lined up including a half day dedicated to the business and legal aspects of medicine in collaboration with the Armenian Bar Association. The Armenian Bar Association & The Armenian American Medical Society welcome you to the very private & very special life100 art exhibit. The Armenian American Medical Society would like to invite all of our membership, including family and friends, to come out on April 24th and march together, as Armenian healthcare professionals. The Armenian American Medical Society presents, “Recent Updates in Breast Cancer” presented by Nubar Boghossian, MD. The Armenian American Medical Society presents “California Dental Law & Infection Control” presented by Steward R. Balikov, D.D.S. The Armenian American Medical Society is creating opportunities for you to meet and greet your peers, network and make new contacts. Armenian American Medical Society Presents “Facial Neuropathic Pain” presented by Katayoun Omrani, D.D.S. 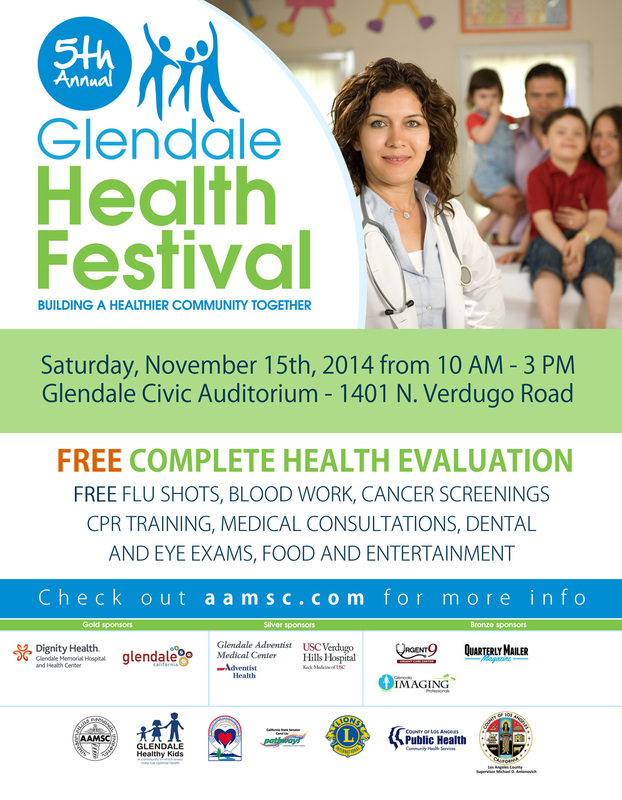 Join us at the 4th Annual Glendale Health Festival for a FREE complete health evaluation. 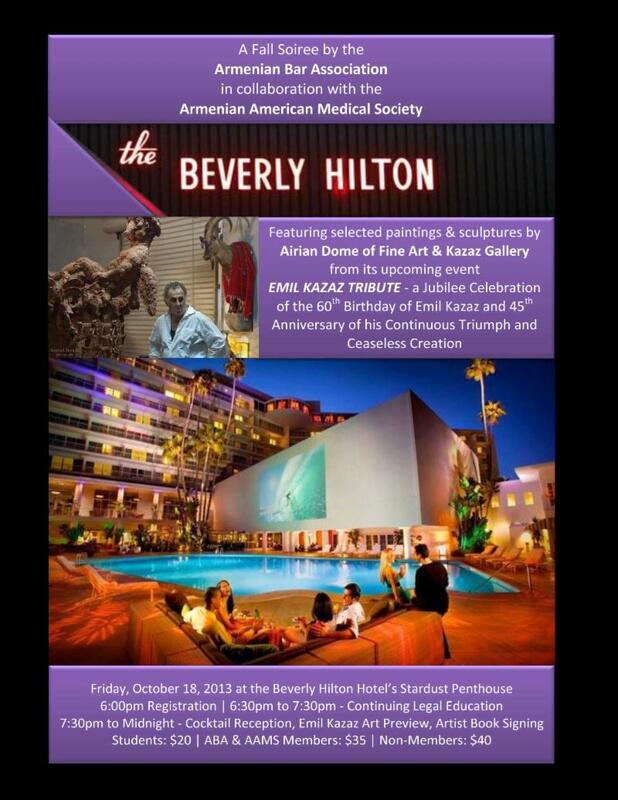 A Fall Soiree by the Armenian Bar Association in collaboration with the Armenian American Medical Society. The Armenian American Medical Society cordially invites you to a NETWORKING & SOCIALIZING our aim is to bring medical professionals together under one roof and get to know each other and create connections – professional and social that collectively will help our community. We are pleased to invite all our members to attend a special meeting with the California Medical Association (CMA) with respect to the State of California’s plan to move dualeligible (medi-medi) patients into HMOs. As you are well aware, this issue is of great importance to our medical community. 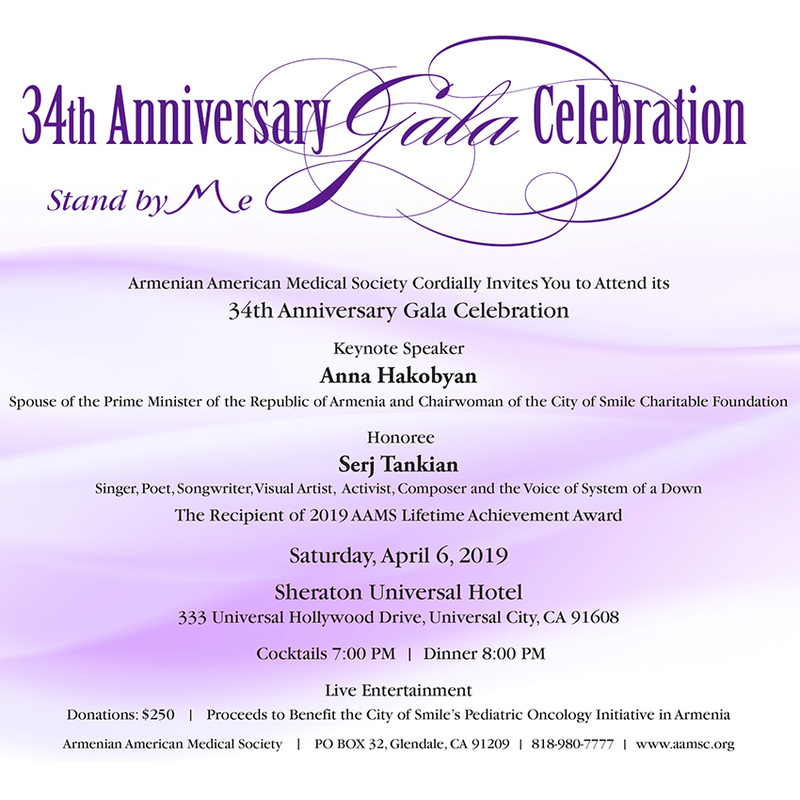 Armenian American Medical Society Cordially Invites You to Attend its 27th Annual Gala Honoring The Recipients of 2012 President’s Leadership Award Salpy Akaragian, RN-BC, MN Nazeli Charchian, M.